The accusations, arrests, and convictions continue, but three different filings have brought once-settled infant head injury cases back into the courtroom. 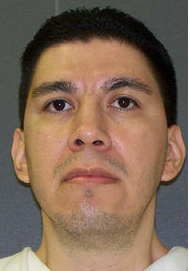 In an exciting illustration of effective reform, a new Texas law opened the door for a motion on behalf of Robert Avila, convicted in 2001 of murdering his girl friend’s toddler and currently scheduled for execution in January of 2014. As reported in The New York Times, Mr. Avila claimed he was not in the room when the 19-month-old was injured, and learned that the little boy wasn’t breathing only when the child’s 4-year-old brother came and told him. Pediatric surgeon Dr. George Raschbaum testified that the toddler’s injuries were so severe that the larger boy could have caused them only by jumping on his brother from a height of 20 feet. The recent law, SB 344, allows the court to grant a new trial if the forensic science in the case has evolved. Avila’s attorney, Cathryn Crawford of the Texas Defender Service, solicited affidavits from experts who have been researching infant head trauma, including forensic pathologist Dr. John Plunkett and biomedical and biomechanical engineer Dr. Chris Van Ee. Van Ee’s laboratory re-creation of the presumed event concluded that an 18-inch fall by the 4-year-old onto the younger boy could have produced the fatal injuries. Judges heard arguments on the motion from both sides on Wednesday, Sept. 11. Avila’s attorneys are requesting a postponement of his January, 2014 execution date, to allow for a full resolution of the issues. Meanwhile in Michigan, a judge has declared a mistrial in last spring’s conviction of Leo Ackley for the presumed murder of 3-year-old Baylee Stenman, his girl friend’s daughter. Ackely said at the time that another child reported hearing a thump from the girl’s room. When he went to investigate he found Baylee on the floor: He’d assumed she’d fallen from the bed. The medical examiner, however, testified that a fall from a bed could not have caused the fatal injuries, and other doctors reported finding “classic” signs of abuse. Thirdly, in Newfoundland, another judge has declared a conviction unsound based on new arguments about the science behind abusive infant head trauma. A hearing of the application concluded in June. It saw medical experts from around the world testify, and included complex medical evidence that delved into the widely debated issue of Shaken Baby Syndrome and its validity. Petro is the co-author, with his wife Nancy Petro, of the book False Justice—Eight Myths That Convict the Innocent. If you are not familiar with the debate surrounding shaken baby syndrome and pediatric abuse head trauma, please see the home page of this blog. How on earth it is legal to send people to prison based on hypothesis, in other words educated guess? I thought you go to prison only when there are evidence beyond reasonable doubt that crime took place not educated guess! I know that it is impossible to test sbs hypothesis on real babies as it would be child cruelty but experts don’t need to do that as on the side of the globe the already is an insane woman who does it for them. A woman called Lena Fokina that performs so called “baby yoga”. Every single expert who is defending sbs hypothesis would agree that her actions would cause sbs type of symptoms. However, British crew made a documentary about her and interviewed the parents, the revelations are shocking those babies not only healthy without any brain damage but actually are early talkers, readers and swimmers. Lena was performing baby yoga for 30 years so if sbs hypothesis is correct then there should be significant amount of disabled or even worse dead babies? I am not promoting what she’s doing as I would never take my children to her, but pointing out the paradox. I just found your blog… it is a fascinating body of work and I look forward to following it! Thank you Sue and I have forward this to the AZ Innocence Project. It would be nice to see this ripple in all states legislature. Keep up the good work! So happy for all these people!!! Leo Ackley was accused of the 2011 death / and convicted in 2012! He was in the shower, after getting dressed he went to get , Baylee up, it was the 7 yr old that said she heard a thump on the floor, while Leo was in the shower! Thanks for posting tho, just wasn’t 2004! Thank you for the correction: I’ll fix the posting. My apologies.